About one year ago, I wrote that the Cofidis Cup was dying on its feet. Tonight see the first leg of the quarter finals and the patient is hardly in better health. The fans are not showing any great interest in the competition and several pundits are calling for changes. The current setup certainly favours the bigger clubs and in the event that one of the minnows gets a tasty home draw, there is usually an ‘arrangement’ that means the match is played on the first division ground. Anderlecht, clear favourites for league and cup. Despite all that, the favourites usually fall – mainly through lack of effort – and this year Standard and Club Brugge have already left the competition. Anderlecht have not won the cup since 2008 and last season went out to Rupel Boom. This year though looks totally different as John Van den Brom has got his players motivated for all competitions. Along with Genk, they are the Cup favourites and it’s sad that the draw (already made) means that they are likely to meet in the semi final. Tonight, Anderlecht go to Gent and the freezing temperatures combined with the home team’s horrendous form will keep the attendance down. Gent is a club that is seriously in crisis. After selling a number of their first-team players in the summer, they bought badly – or at least without consulting Trond Sollied, the incumbent coach – and the results were disastrous. Sollied was sacked when the team slipped out of the top six. He was replaced by an ‘old boy’ Bob Peeters and results have got even worse. At the weekend, ‘Petit Pele’ Mboyo – one of the few players on form this season – missed a penalty, was barracked and possibly racially abused by the crowd, reacted badly, criticised by Peeters, argued with the fans and, finally, stripped of the captaincy! It’s not clear if he’ll play tonight but it’s certain that Van den Brom will be looking to win both legs and go on to do the ‘Double’. On Wednesday, the remaining matches will see Zulte Waregem play Genk (with the winners of the home and away legs meeting Anderlecht or Gent), Cercle Brugge (with Eidur Gudjohnsen) play second division Oostende and Sint Truiden (also in the second division) meet Kortrijk. 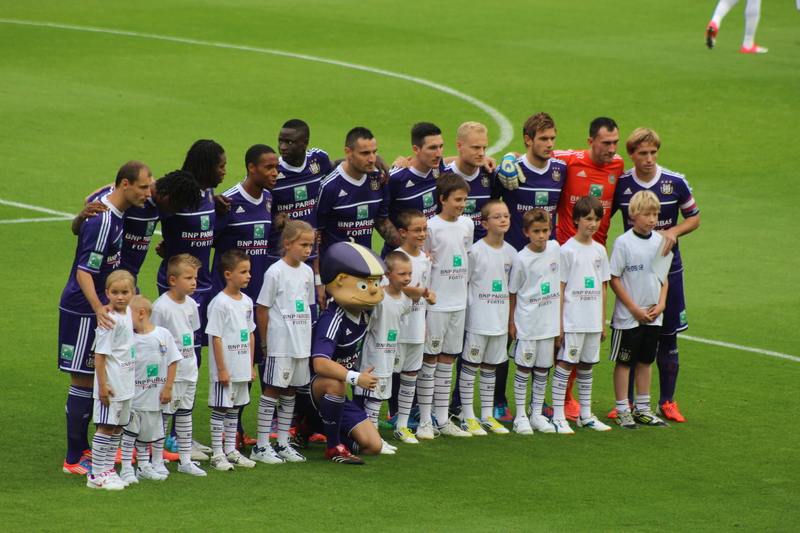 Given the draw, an Anderlecht – Kortrijk final on May 9th would not be a surprise. So you don’t like Zulte Waregem’s chances against Genk then? I just think with more experience and the home tie as the second leg, I think Genk have the edge. It will be close though.